Humm Blossom Accessory Kit. Protects from rain and ants. The Humm Blosssom Accessory Kit will protect your HummBlossom Feeder (sold separately) from the rain and the ants. 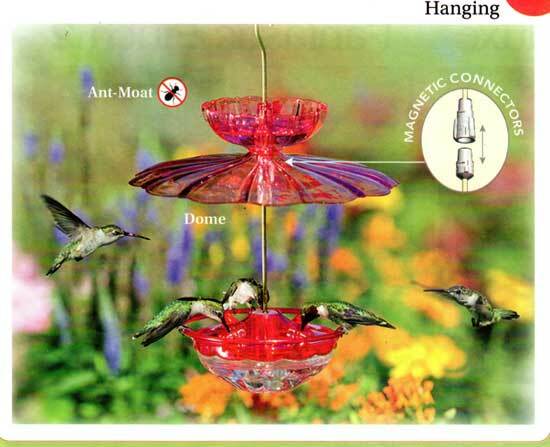 Use the Accessory Kit on a HummBlossom hummingbird feeder while its hanging. 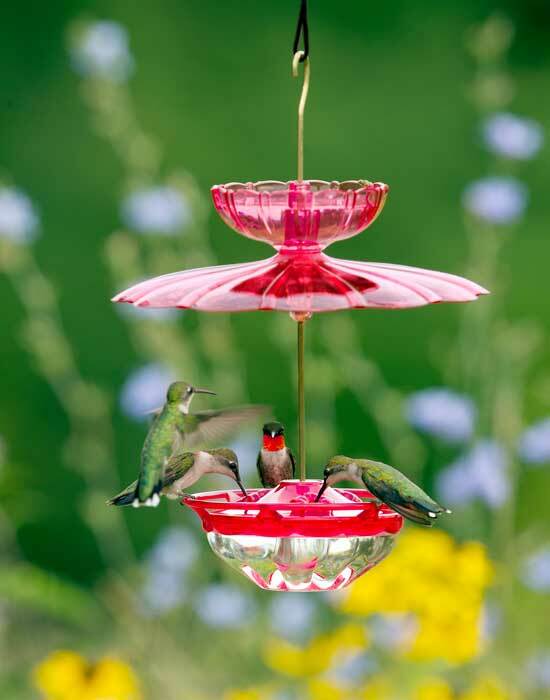 Use the Accessory Kit on a HummBlossom hummingbird feeder while its staked. Offers Protection from Rain and Ants whether an existing HummBlossom Feeder (sold separately here) is Staked or Hung. Includes a 7 1/2 inch dome and an ant moat. Magnetic adaptors allow the accessories to be detached with ease for filling and cleaning. Backed with a Lifetime Guarantee and proudly made in USA. The Dome protects the feeder from rain and sun. 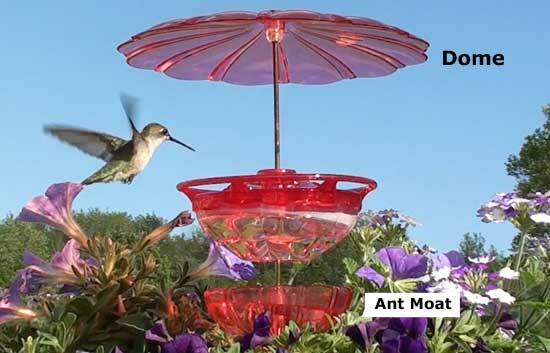 The Ant Moat prevent ants from reaching the feeder. Includes a Plant Stake to mount the HummBlossom feeder in a garden, planter or a yard.